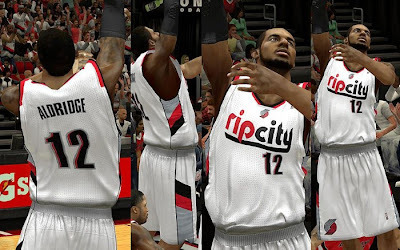 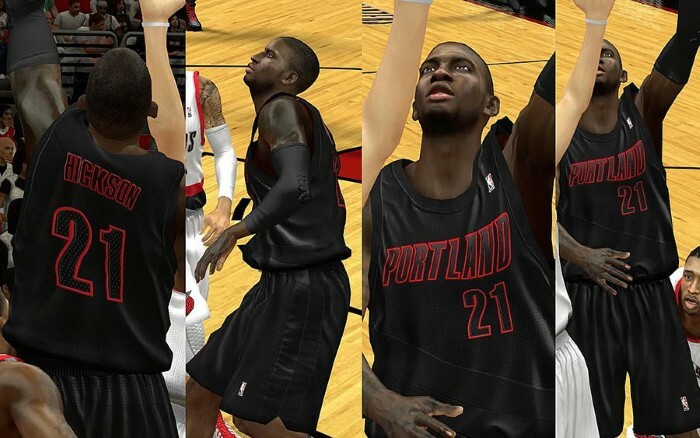 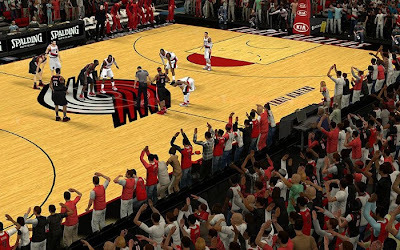 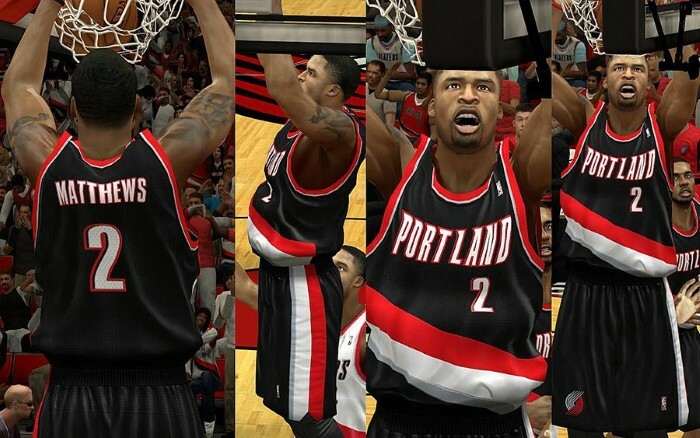 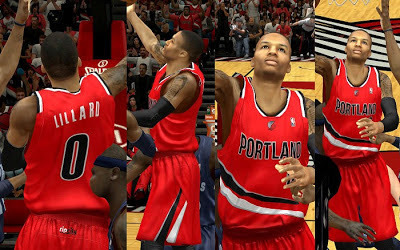 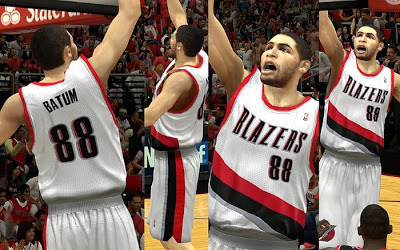 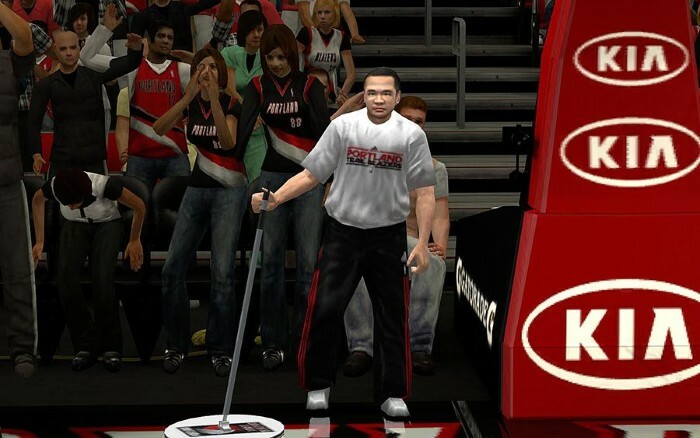 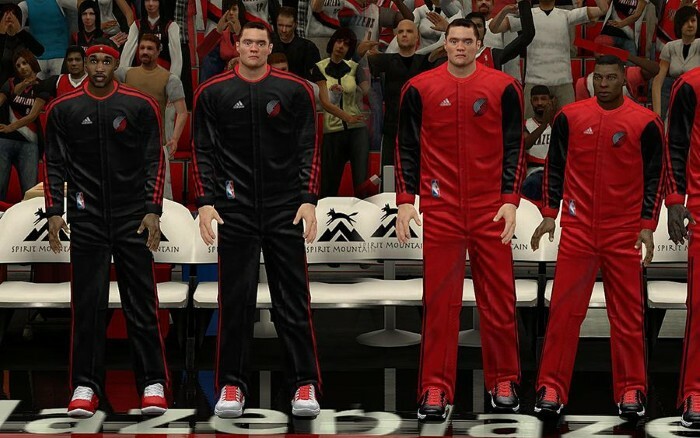 Description: This patch updates the jerseys of the Portland Trail Blazers. 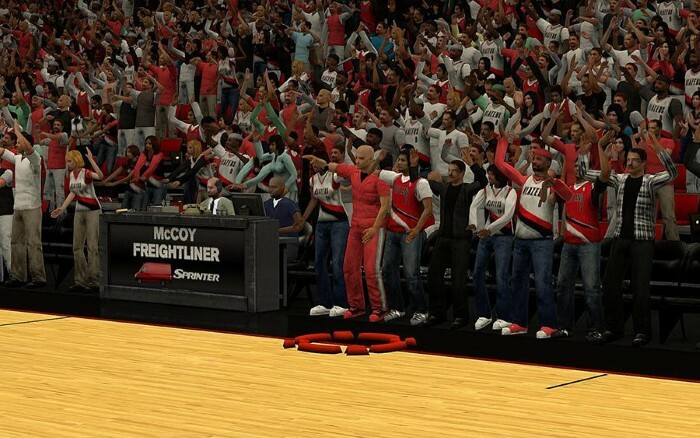 It also includes a fictional Christmas jersey, enhanced logo and crowd fix. - Fixed the jersey color of the red alternate jersey. - Fixed the number texture, size, color and placement. - All new REV30 mesh holes, smaller and detailed. Note: You need to rename the Christmas jersey - ua028 (winter court).iff in order to use it in the game since there's no available xmas jersey slot for the Blazers.